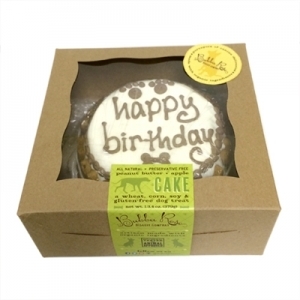 ntroducing our brand new, shelf stable standard sized cakes! That's right, no refrigeration or freezing necessary, these cakes are shelf stable for 1 year like the rest of our treat line. They are densely chewy in texture (not crunchy) and made with organic ingredients. 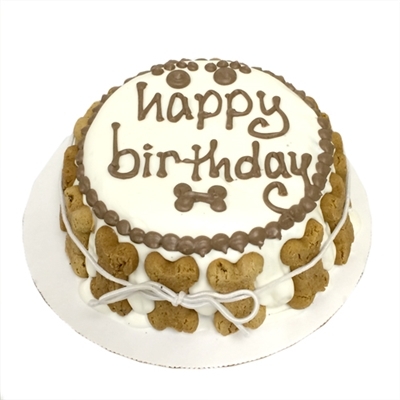 They are a peanut butter apple cake and can be cut to serve 4 medium-large dogs. There is a candle in the box too! These can not be personalized.